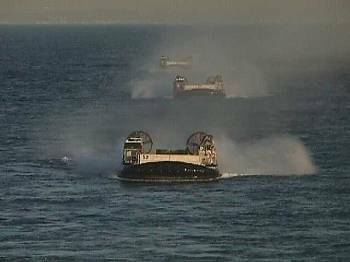 The landing craft air cushion (LCAC) is a high-speed, over-the-beach fully amphibious landing craft capable of carrying a 60-75 ton payload. 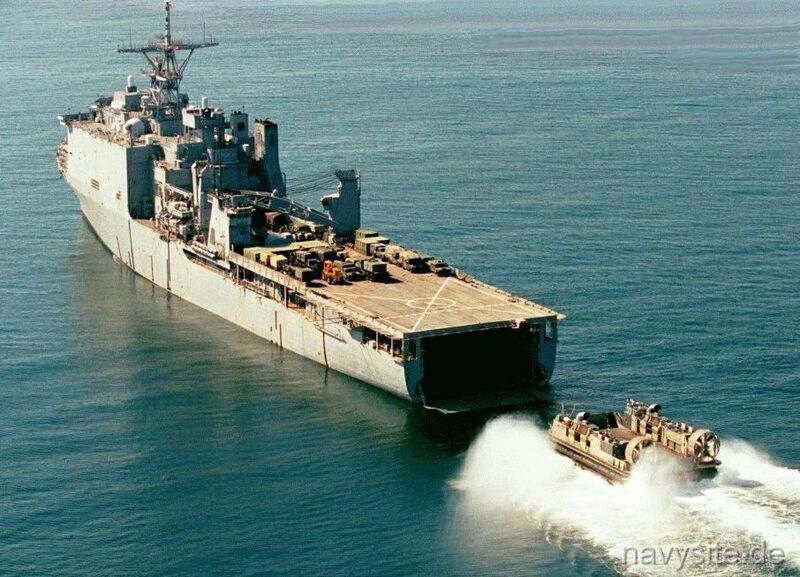 It is used to transport weapons systems, equipment, cargo and personnel from ship to shore and across the beach. The advantages of air-cushion landing craft are numerous. They can carry heavy payloads, such as an M-1 tank, at high speeds. Their payload and speed mean more forces reach the shore in a shorter time, with shorter intervals between trips. The air cushion allows this vehicle to reach more than 70 percent of the world's coastline compared to only 17% with conventional landing craft. 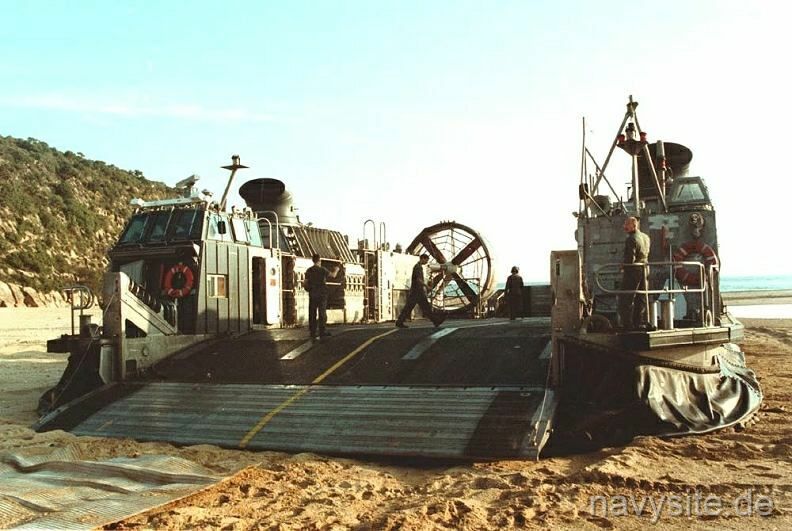 LCAC was developed to satisfy the need for an air cushion landing craft capable of carrying troops, artillery, tanks, combat vehicles, and other major items of combat and combat support equipment across the beach. LCAC is the production follow-on to earlier advanced development craft which were tested by the Navy between 1977 and 1981. 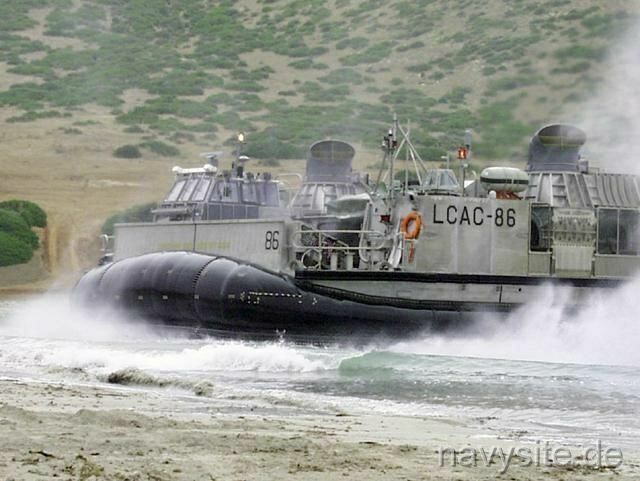 On June 29, 1987, LCAC was granted approval for full production. 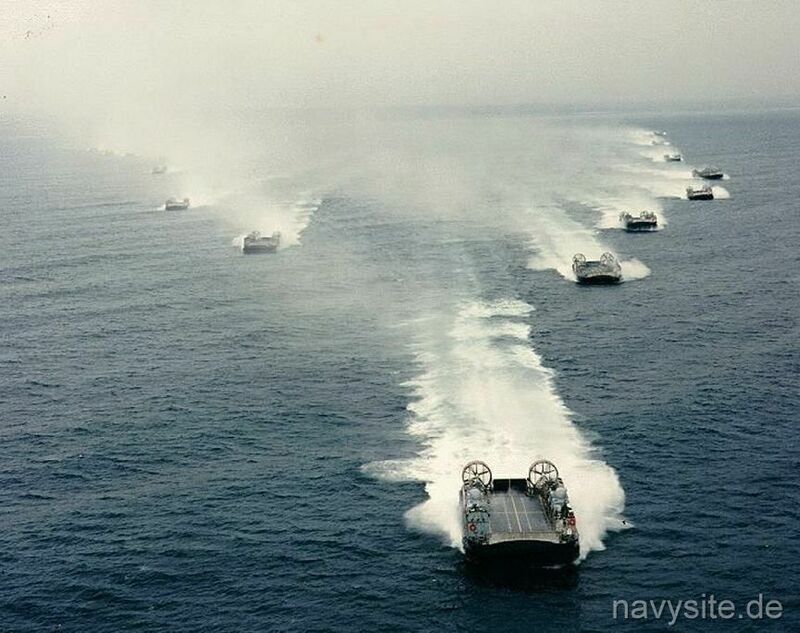 Forty-eight air-cushion landing craft were authorized and appropriated through FY 89. Lockheed Shipbuilding Company was competitively selected as a second source. The FY 1990 budget request included $219.3 million for nine craft. The FY 1991 request included full funding for 12 LCACs and advance procurement in support of the FY 1992 program (which was intended to be nine craft). The remaining 24 were funded in FY92. As of December 1995, 82 LCACs had been delivered to the Navy. Initially, all testing had been conducted in Panama City, FL. 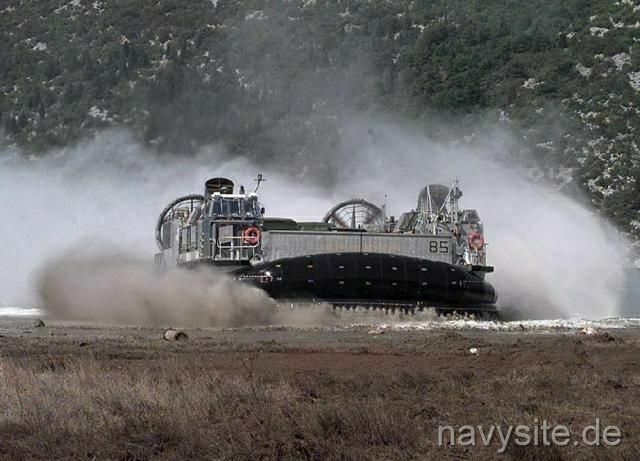 Subsequently, the LCAC was tested in California, Australia, and in Arctic waters. Rough weather conditions forced cancellation of Exercise Valiant Usher 89-4, a joint U.S.-Australian amphibious assault exercise to be conducted off the northern Australian coastline. Objectives for tests in Alaska in March 1992 included evaluating all operational effectiveness and suitability concerns of multiple LCAC in an arctic environment. 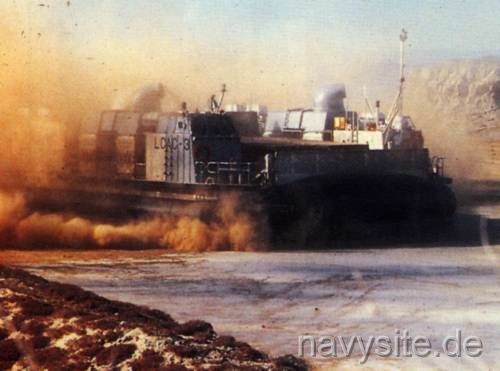 LCAC was neither operationally effective or suitable for arctic operations, and merely correcting the cold weather kit design would not be sufficient to conclude that LCAC was operationally effective and suitable in an arctic environment. Performance in opposed scenarios and in severe cold weather conditions would be necessary to fully evaluate LCAC performance. DOT&E recommended further operational testing. Developmental tests indicated that at colder temperatures engine power increases until gearbox torque limits capability, but icing and sea state would reduce that capability. Since then, LCAC has been used in two arctic exercises, one of which included operations in weather down to 15°F and realistic sortie rates. Based on this exercise, DOT&E concluded that further operational testing would not be necessary. 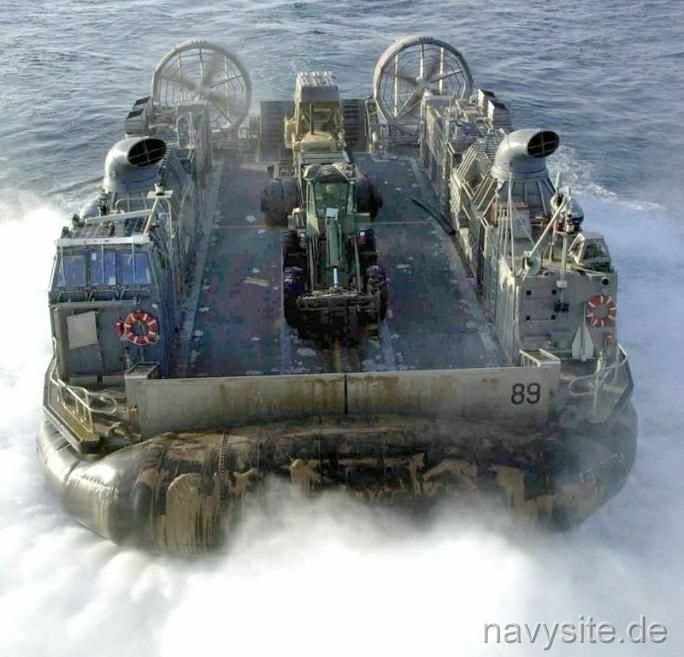 LCAC demonstrated the ability to travel over light ice and open water, in fairly calm seas. The distance traveled per sortie ranged from 3-10 miles each way. Icing, which occurred in some conditions, also requires periodic interruption of missions to remove ice. JP-5 fuel was used, which alleviated problems with filters clogging. 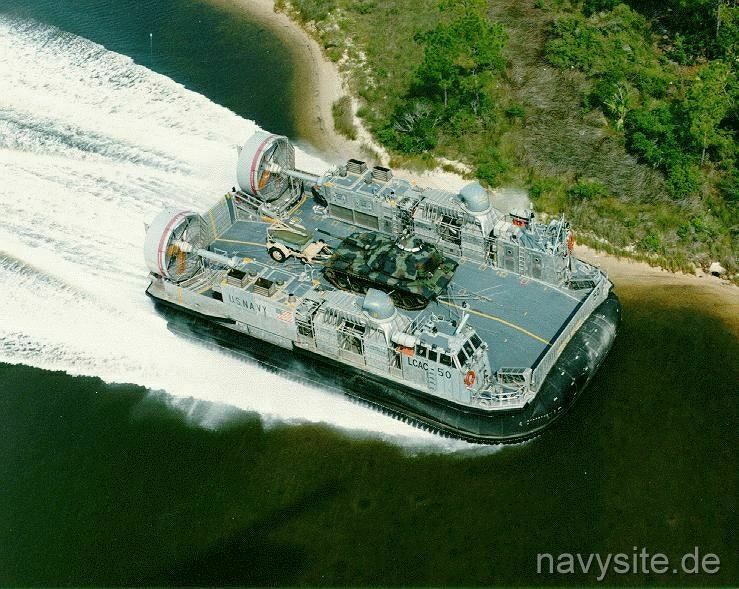 Also, LCAC has been involved in several minesweeping exercises, it has shown itself to be a potentially effective minesweeper in very shallow water. While this was not the original intent of the program, the system offers significant potential for enhancing force readiness. The first deployment of LCAC occurred in 1987 with LCAC 02/03/04 embarked in USS GERMANTOWN (LSD 42). 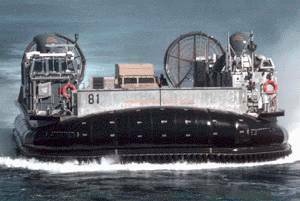 In July 1987 LCAC 04 transited Buckner Bay, Okinawa and conducted the first LCAC landing on foreign soil. 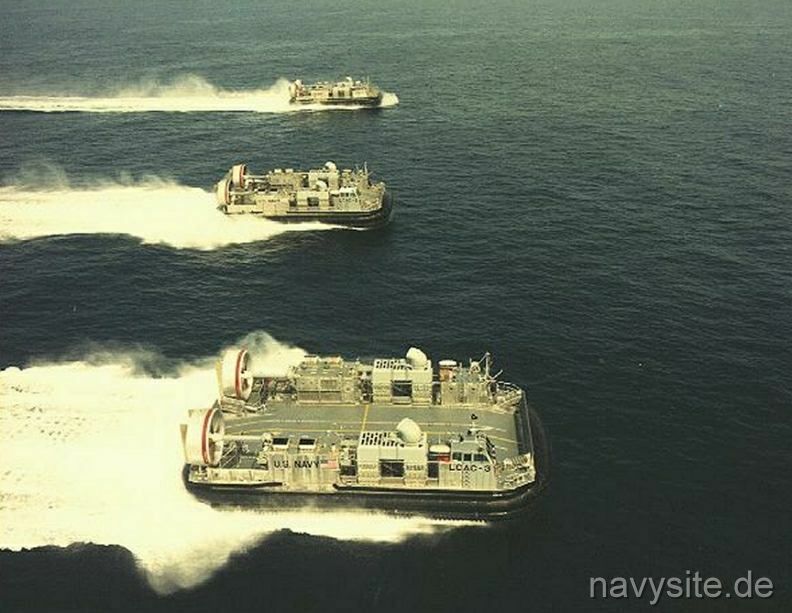 The largest deployment of LCAC took place in January 1991 with four detachments consisting of eleven craft reporting for duty in the Persian Gulf in support of Operation Desert Storm. 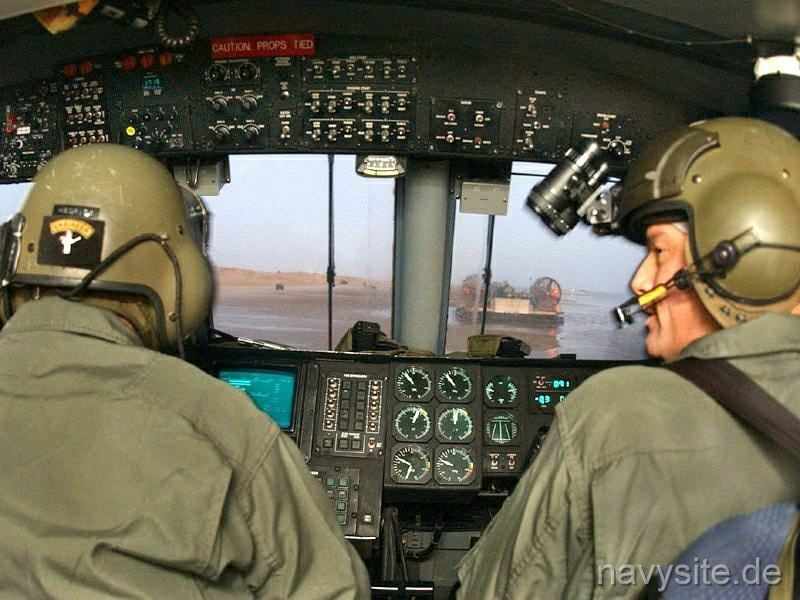 The similarities between a Navy LCAC and an airplane are substantial. The craftmaster sits in a "cockpit" or command module with a headset radio on. He talks to air traffic control which for LCAC's is well-deck control located near a ship's sterngate. The ride feels like a plane in high turbulence. The craftmaster steers with a yoke, his feet are on rudder controls -- and he flies a lot like a hockey puck on an air hockey table. 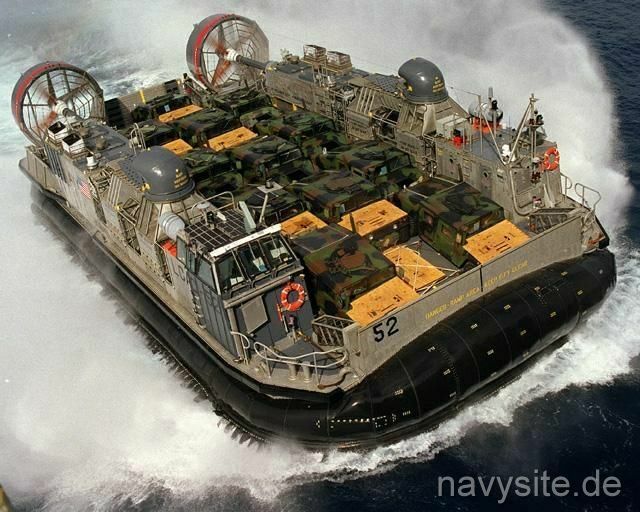 The LCAC is similar to a helicopter in that it has six dimensions of motion.